It’s time to celebrate a sweet little girl’s first birthday. 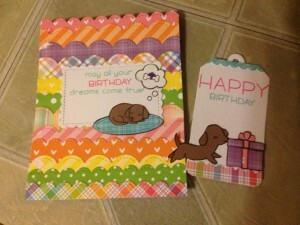 This is the card and tag set I made for her. 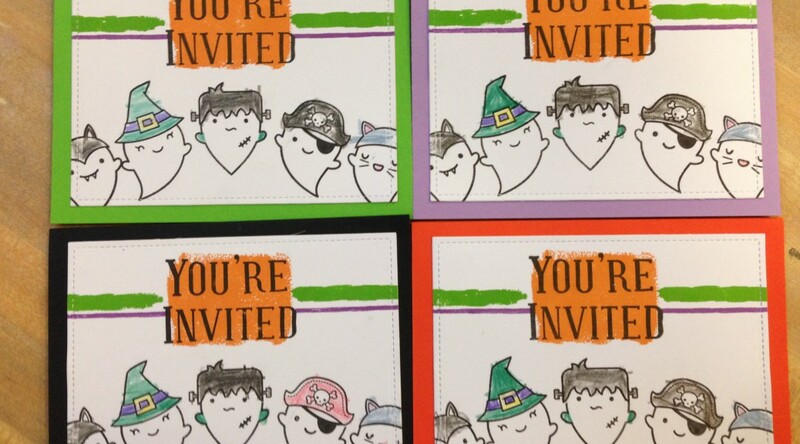 Extra Details: I began both of these by stamping and coloring the images. I stamped four dogs in total. I wanted to cut them apart and layer them together to make the dogs more dimensional. I used colored pencils to color everything. 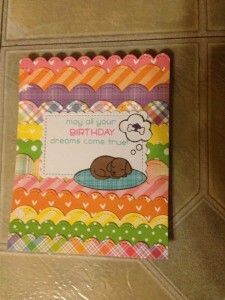 I fussy cut everything out right on the black stamped lines. I used a black marker to paint the edges to hide any cutting mistakes. 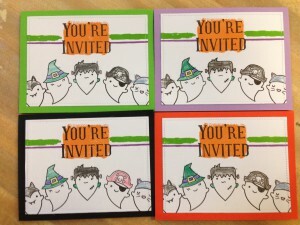 I used the papers, stickers, and tags from Simon Says Stamp September 2017 card kit. 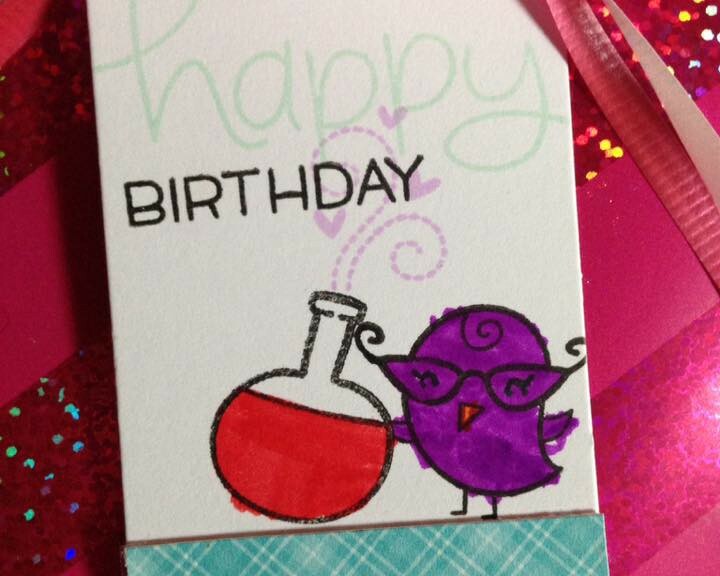 I added a strip of patterned paper to a panel of pink card stock. I layered a blue glitter scalloped circle on top of that. I added my focal circle next. I stamped the sentiment in a pink ink. 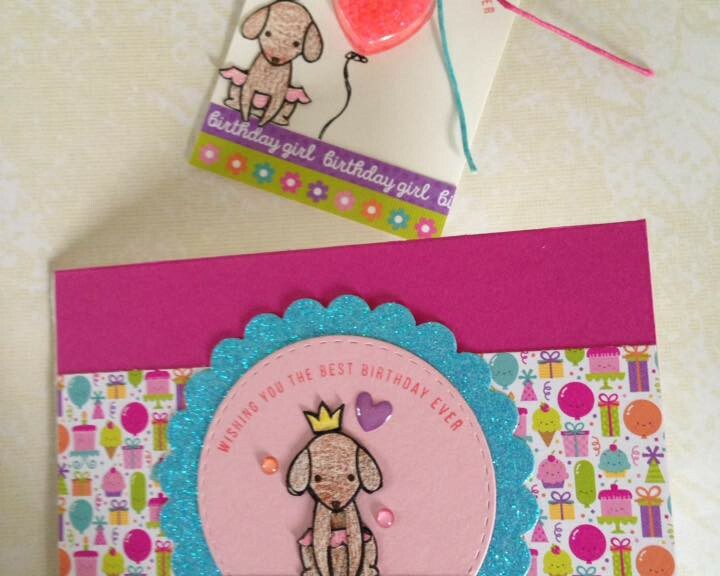 Added a little bit of patterned paper to the bottom of the circle and adhered the dog. I adhered the focal circle to the glitter circle. 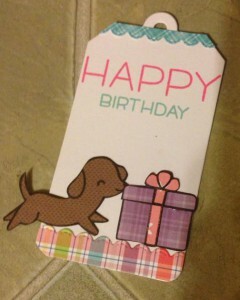 To finish the card, I added a few enamel dots. 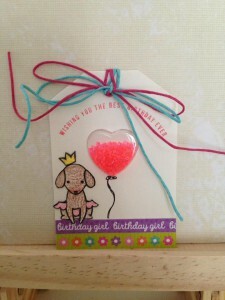 I used the shaker tag pieces from the card kit. I filled the shaker with some small pink plastic beads I had in my stash. 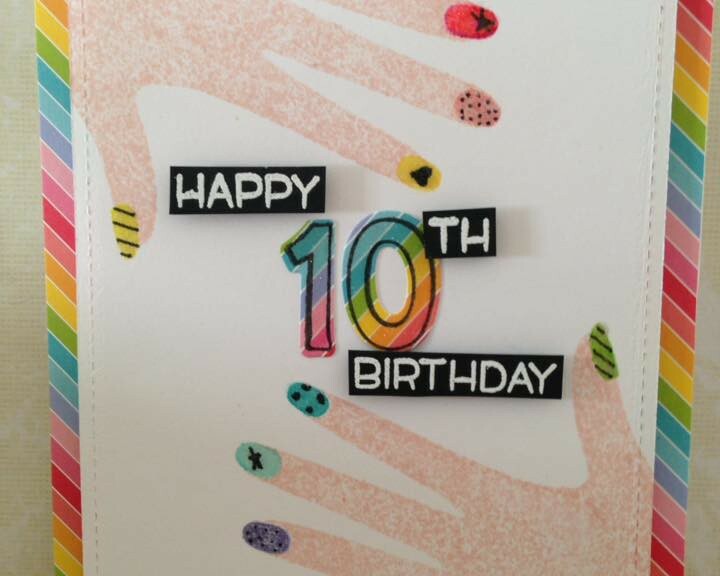 I added some stamping and patterned paper to dress it up a bit. I adhered the dog and drew in a balloon string. Lastly, I added some blue and pink twine from my stash to finish the tag. 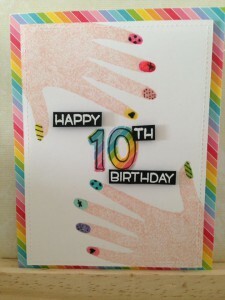 I like to try and stretch my stamps and use them for all year round. 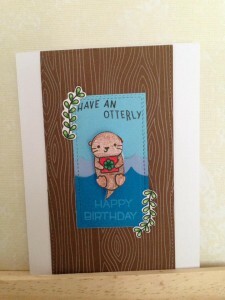 The otters from Lawn Fawn and Simon Says Stamp’s A Christmas Like No Otter are too cute to only use once a year. 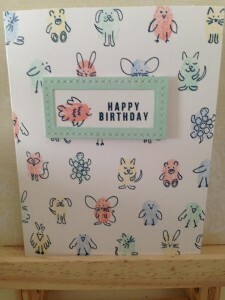 This is a birthday card I made using that stamp set. 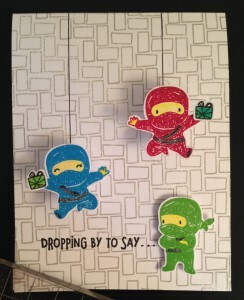 Extra Details: I began this card by stamping and coloring the images from the stamp sets. I used colored pencils. When I was finished, I fussy cut the images out leaving a small white border. I stamped a strip of brown paper with a wood grain pattern using white pigment ink. I used a stitched border die to add interest to the edges of this panel. I added that to the center of a white card base. 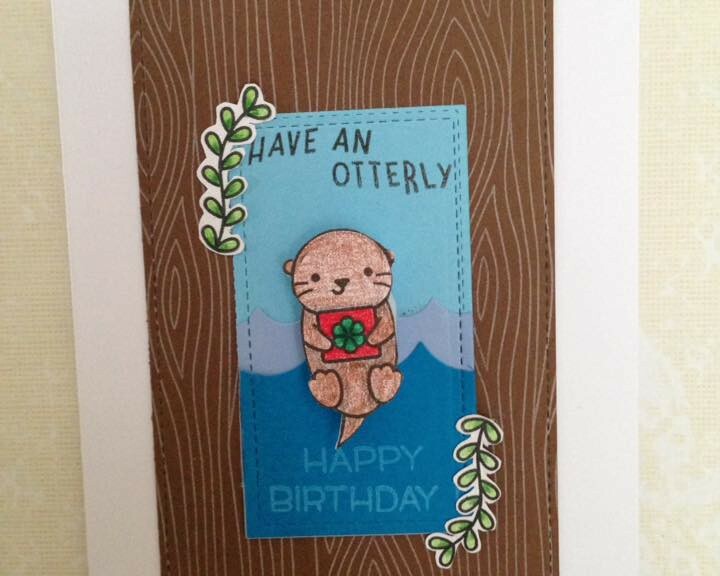 Next, I created a focal panel for my cute otter to live on. I die cut a few different shades of blue paper. 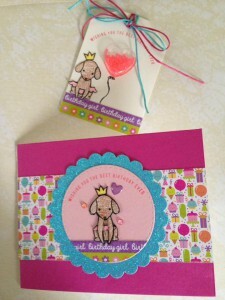 I used a stitched rectangle die and a scalloped border die. I layered the three layers together and added the sentiments. Then, I adhered the kelp images to the corners. 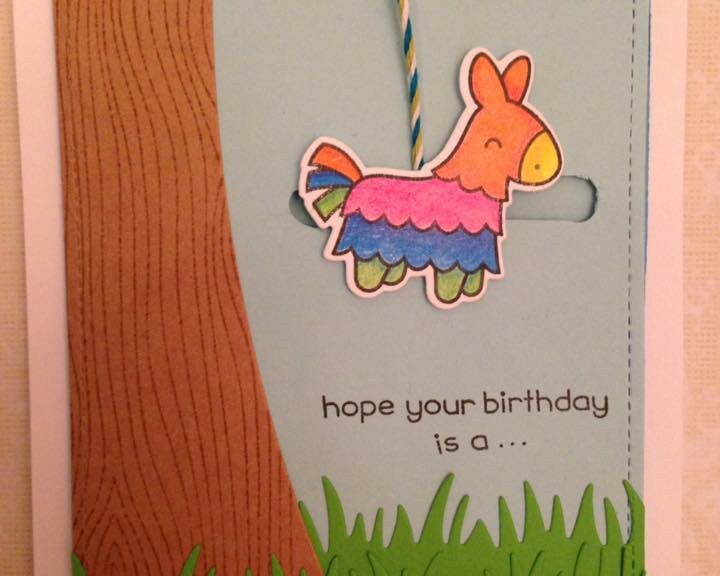 I adhered the focal panel to the card. Lastly, I adhered the otter with a mini action wobble for added fun. 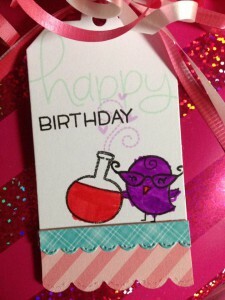 This is a card and tag set my daughter designed for a friend’s birthday. Extra Details: First, we cut some Lawn Fawn patterned papers into strips. 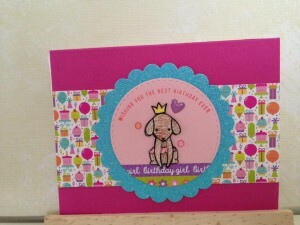 We used the scalloped border dies to add some fun detail to the strips. 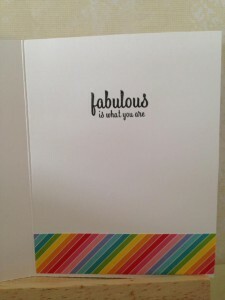 We layered the strips on a top fold card base. 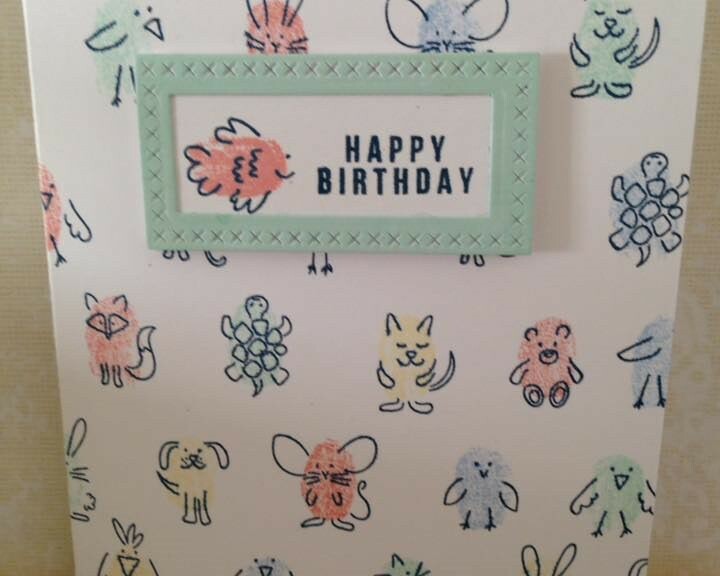 I stamped the images on some more patterned paper and fussy cut them out. I painted the edges black to hide any cutting errors. 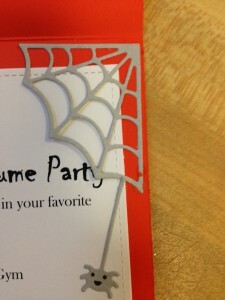 We die cut a scalloped rectangle and a tag from some white card stock. 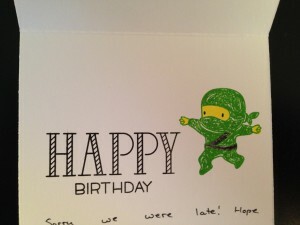 We stamped the sentiments in colored inks. Lastly, we adhered everything together. 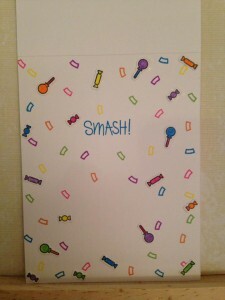 Hope you enjoyed the card and tag! 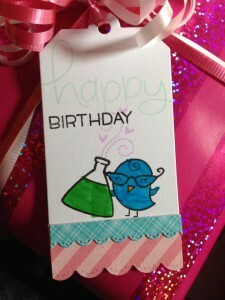 These are some tags my daughter designed for two friends’ birthday gifts. The theme of the party was Mad Scientists. 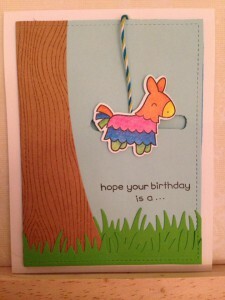 Extra Details: We began this card with a white tag cut using Lawn Fawn’s Tag You’re It die. 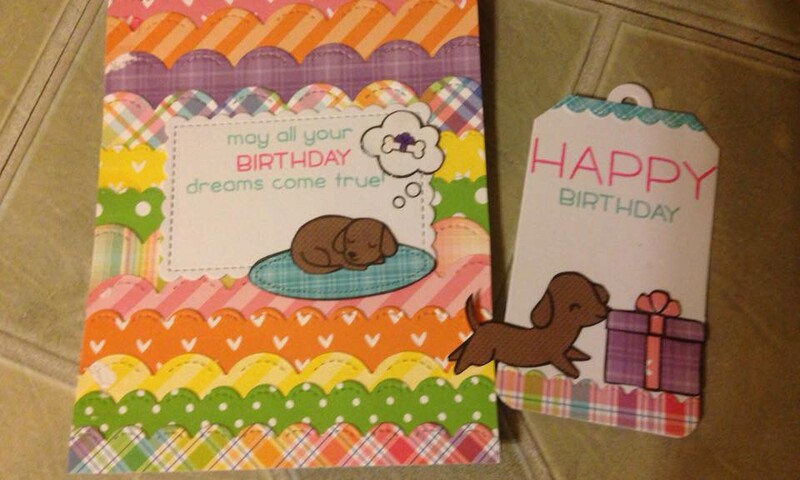 We added some strips of patterned paper to the bottom of the tags. 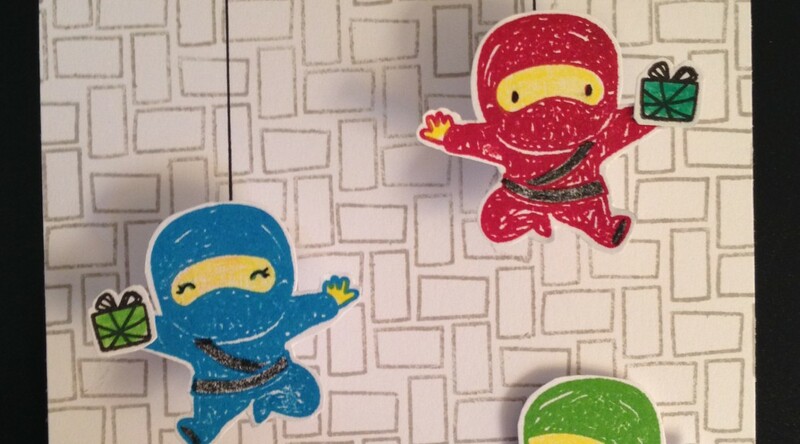 My daughter stamped and colored the images on the tags. She used her Crayola markers. Lastly, we added a sentiment and some ribbon.